Retrospective - looking back on 2017 - Run. Bike. Code. But Henrik, the year isn’t over yet, there is a full week left! Yes, I know, but I’ve got some time to kill today and the date is actually fitting for a retrospective of 2017. On this day exactly two months ago I broke my forearm. This next paragraph probably reads a lot like a pity party and is also out of chronological order. I just want the negative stuff out of the way and and the blog post end on a high note. After the Berlin Marathon I enjoyed a good, three week-long off-season, culminating in my yearly football weekend. After that I slowly ramped up my training, highly motivated for a solid mileage buildup through winter. Ten days later I found myself in the hospital with some borg-like addition to my left arm.I remember looking at the training plan for the rest of the year on the morning of that day and getting excited for the mileage to come. Well, that didn’t happen. Luckily, after just a 15 day break I was back in my running shoes. Quite slow, still recovering from the injury, but nonetheless running. Things started to come back at the end of November, where I finished my biggest training week so far with 93.1km (57.8mi). And just as I got my fitness back I caught a terrible cough which sidelined me for another good two weeks. So all in all the last three months of this year sucked – running wise. Still, 2017 was also probably my best year yet, so let’s break it down. January was one of the coldest training months I can remember. With temps well below -15ºC (5ºF) on quite a few days it was a real struggle to run. Yet I finished the first month of the year with over 200 miles of (outside) running. No treadmill involved. February and March were comparably easy in terms of weather, allowing a few runs in short sleeves already. On March 19th I ran my first race of the season, a local 10km run as preparation for the upcoming Boston Marathon. With 38:54 I was just one second short of my 10k road PR. A solid result considering the marathon training load and the early time of the year. Sadly, a few days after that race I had to take a week off due to adductor pain (and yes, that was totally caused by me being stupid and adding some new gym workouts in the thick of marathon training). Of course, my first Boston Marathon dominated the month April. After my adductor injury I came back to running just in time to get two more long runs in before we set off to travel to the U.S. of A. Our family of four did a road trip from New York City to Boston over the span of a week. We had a blast, to say the least. I finished the Boston Marathon in 3:31:31 on a very hot day in spring. I suffered, yet the experience of running the oldest marathon on US soil is certainly unforgettable. In May I spiked up for the first time in my life. 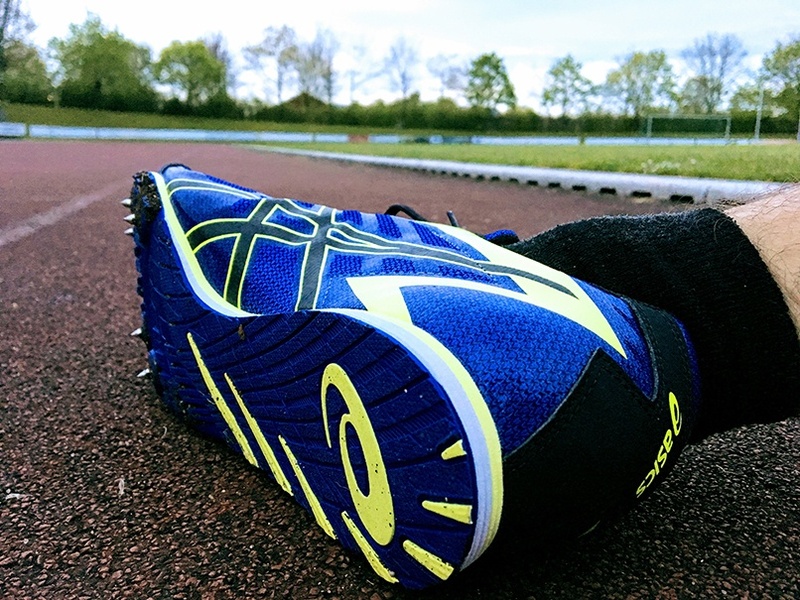 I decided to run this year’s 3000m track races in spikes and figured it’d be a good idea to try them out a couple of times before. Good thing, because my calves needed some time to get used to them. Not sure if I can attribute both 3000m PRs in May and June to the spikes, but it sure felt cool to run in them. Speaking of cool, June was all but that. Many a run turned into a sweatfest and my runner’s tan was going strong. In July I ran a mediocre 5000m on the track, followed by an even worse 10k on the track. If anything, I learned that PRs are harder to break. August had me run another solid 208 miles. I saw double runs on my schedule for the first time ever, a good way to up the mileage without breaking the body down with super-long long runs. A solid training block culminated in a pretty perfect taper for the Berlin Marathon. 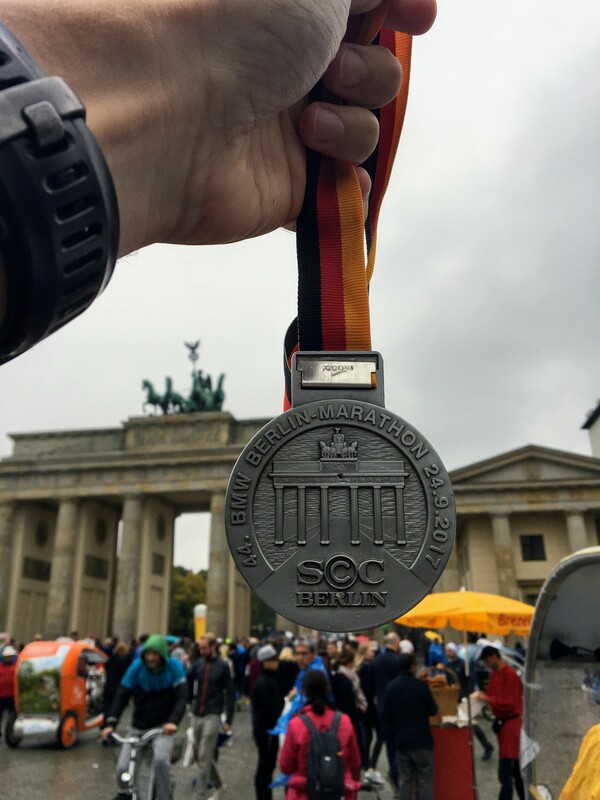 A pretty perfect taper culminated in a pretty perfect Berlin Marathon. 3:01:26, a BQ for 2019 and no regrets for not staying under 3 hours. After Berlin, and especially with the planned fall/winter training volume, I was on my way to finishing 2017 with 3000 kilometers of running. With the aforementioned mishaps starting two months ago, this milestone slipped through my fingers. I will attack it next year again. My coach asked this question on Instagram recently. For sure I am not a “could” or “should” person when it comes to training. On the other hand, I find “must” too strong a word when it comes to a thing (running) I chose on my own. I want to throw in a fourth option: “will”. I will finish 2017 strong, completing all workouts as planned. That way, I can set the tone for 2018. As with any retrospective, what are the takeaways from this year? First, the marathon benefits from high mileage. I have never spent more time in my running shoes than through the first nine months of this year. I will benefit from this next year. Second, don’t slip and break your arm. Definitely not recommended. I will appreciate being healthy more after that injury. Third, take good care of your body and your health.